Pamela M. Kiser was formally awarded the Distinguished University Professorship on October 4, 2010. Kiser is the fourth faculty member to receive this award, and the first woman to be named a Distinguished University Professor at Elon. Kiser is the Watts-Thompson Professor in the Department of Human Service Studies, and has been on the faculty at Elon since 1981. 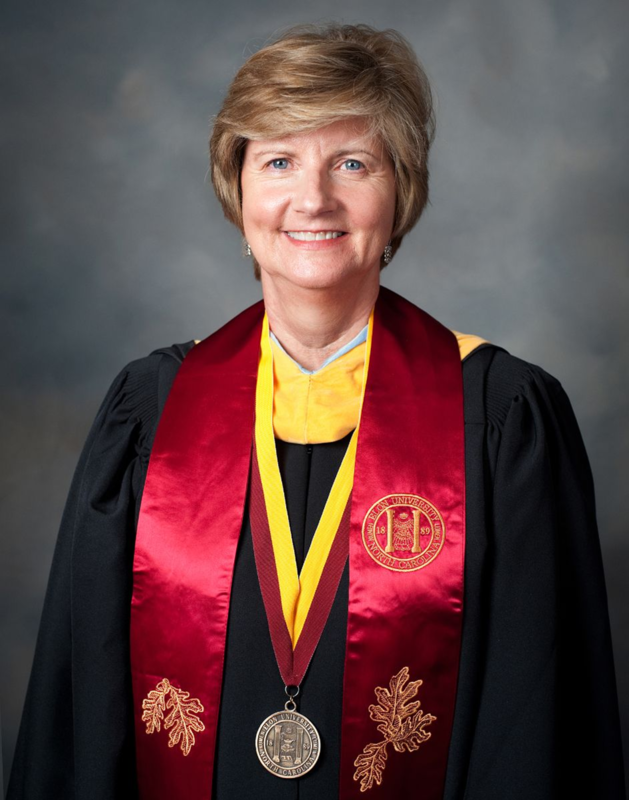 She has served Elon in a number of ways, including the following: department chair for Human Services, faculty scholar in the Center for the Advancement of Teaching and Learning, Academic Council member, Faculty Development Fellow in the Kernodle Center for Service-Learning, member of the Phi Beta Kappa committee, and interim Dean of the Elon College of Arts and Sciences. Kiser received the Daniels-Danieley Award for Excellence in Teaching in 2007. She received the Robert L. Sigmon Service-Learning Award from North Carolina Campus Compact in 2009 for her dedication to incorporating service-learning in higher education. The Distinguished University Professorship was created by the Board of Trustees in 2001. A committee that includes faculty solicit nominations and recommendations for the award. The Professorship is bestowed to full professors who have made distinguished contributions to teaching, scholarship, and the Elon community. John G. Sullivan (former Philosophy professor) was the first to receive the Distinguished University Professorship at Elon, in 2002. Others who have received the Professorship include: the J. Earl Danieley Professor of Sociology Tom Henricks (2003), and the Maude Sharpe Powell Professor of English Russell Gill (2006). This entry was posted in Faculty and Staff. Bookmark the permalink.